M65 is a spiral galaxy in the constellation of Leo, closely associated with two other galaxies M66 and NGC3628. Together these are known as the 'Leo Triplet' and they are actually relatively close to each other in space. Compared to M66, M65 is much yellower, as a consequence of containing mostly only older stars and having relatively little new star formation. 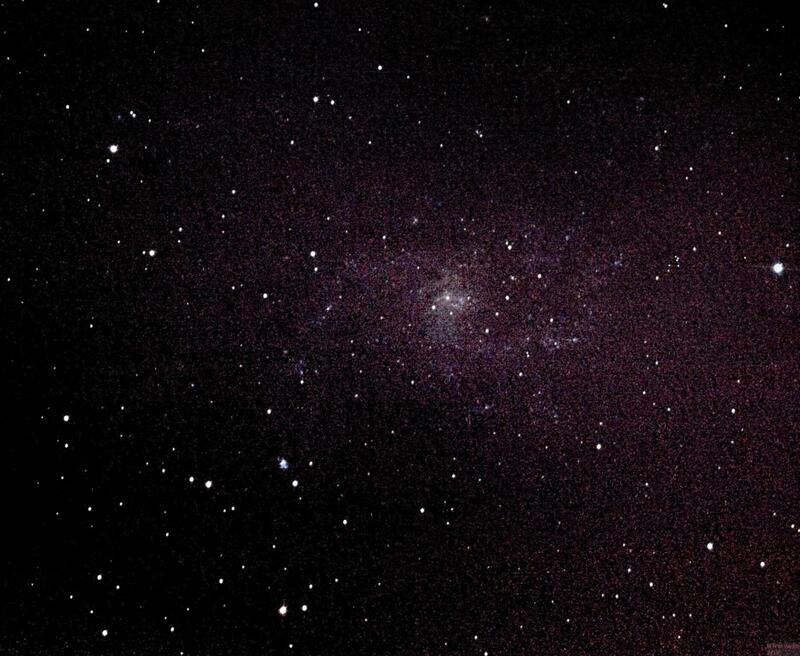 The Leo Triple with M65 at lower right, M66 at left and NGC3628 at the top. 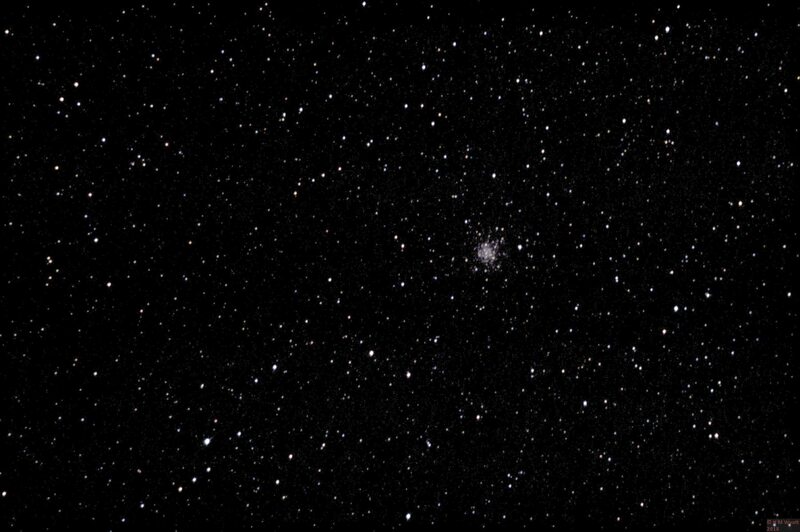 M56 is a rather faint globular cluster that is 13.7 billion years old in the constellation of Lyra. M56, the globular cluster in Lyra. 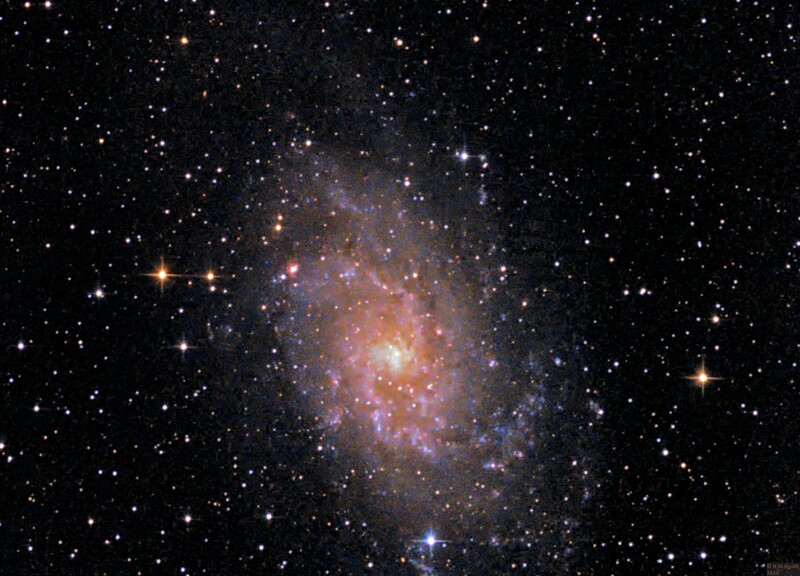 Just visible to the naked eye as a fuzzy patch in dark skies, through a telescope it is a rich area of jewel-like stars. Photographed it is less spectacular. It covers a large area about three times as wide as the full moon so it is best photographed or observed with a fairly short focal length. 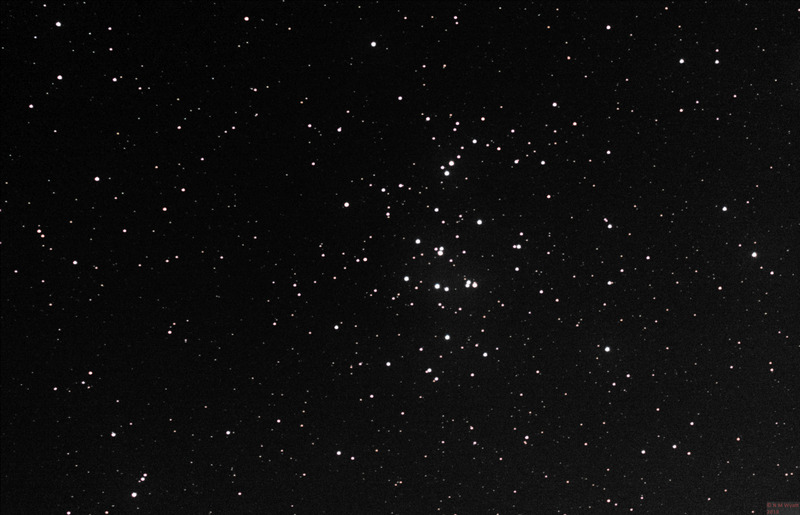 M44, The Beehive Cluster or Praesepe - best seen with the naked eye like many star clusters. M57 is a ring of gas expanding outwards after being thrown off by a red giant star, that now glows faintly as a white dwarf, visible in the centre of the ring. It is easy to find in the constellation Lyra and can be seen through small telescopes. 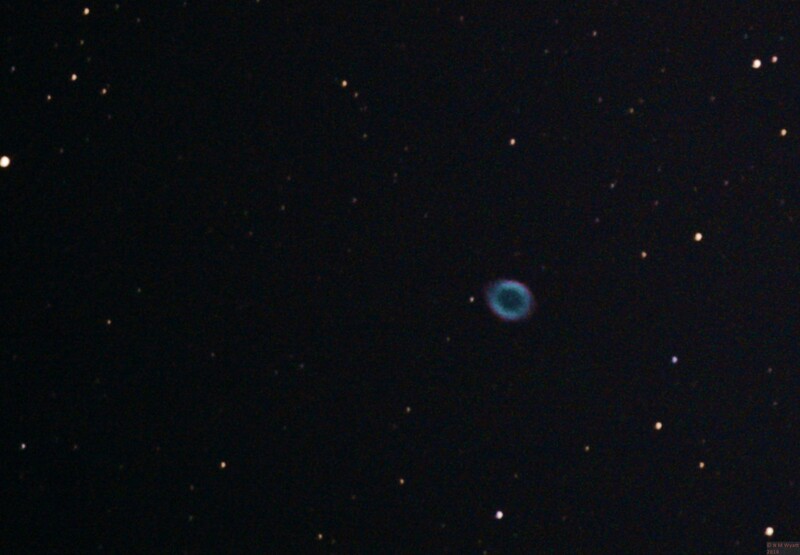 M57 the ring nebula - the central star is just visible here.